Giant Drink Me Bottle Foam Prop - Dino Rentos Studios, INC. 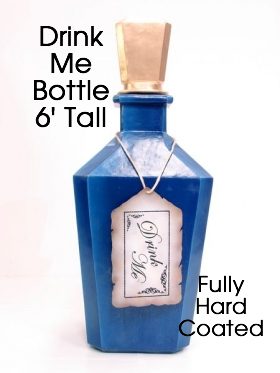 Giant 6 foot Drink Me bottle foam prop. Fully plastic coated for durability. Call us for freight discount on multiple units.